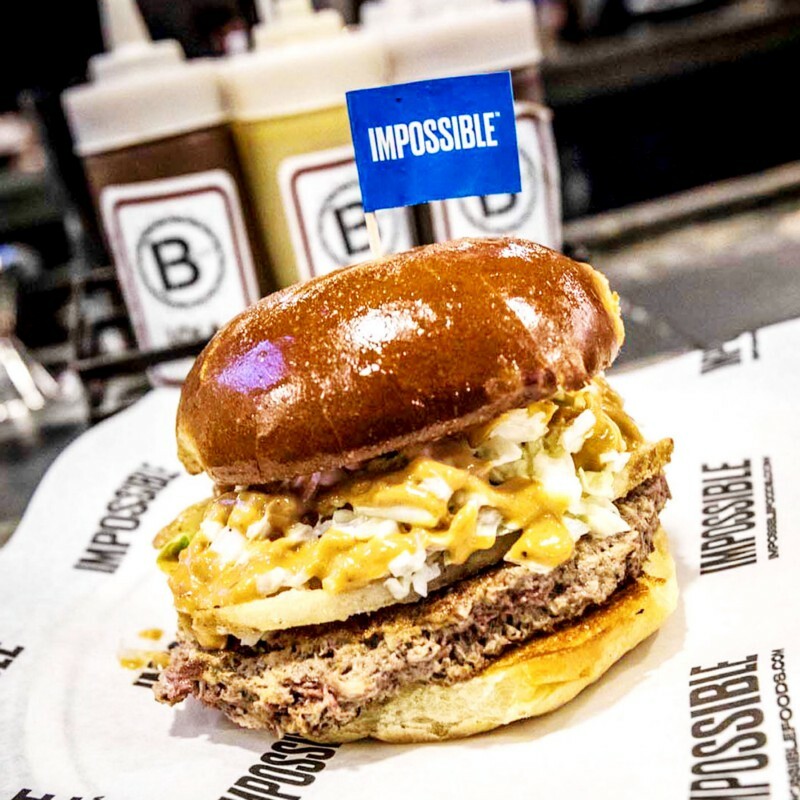 Last Friday, the American chef, author, and restaurateur, launched four new, exclusive Impossible Burger builds at Bspot locations in his hometown, Cleveland. 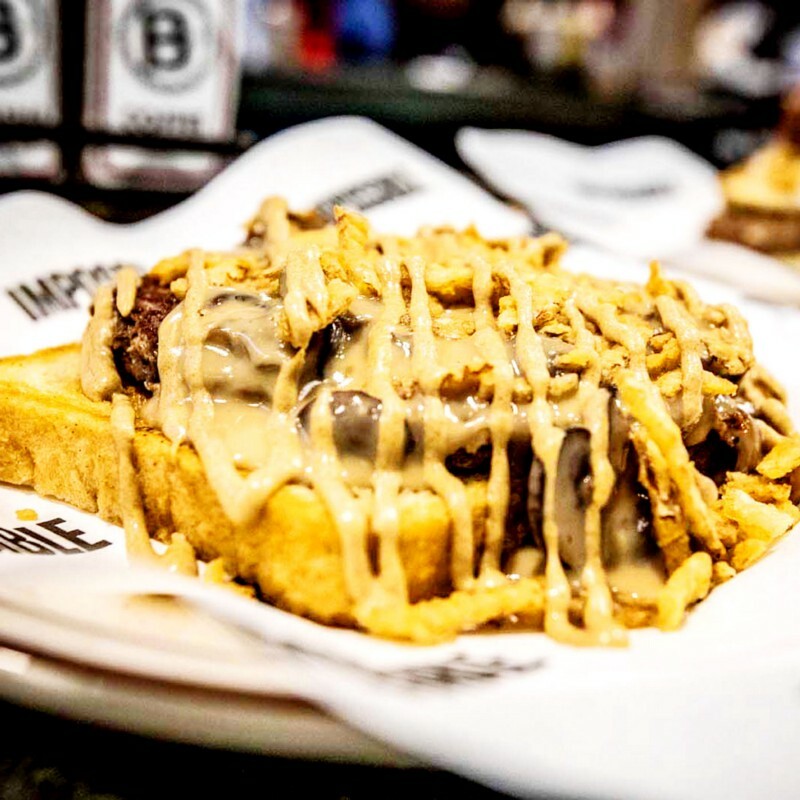 (He first launched the burger in the Midwest last September.) We asked him why, and snapped some photos too. Here’s what he said. 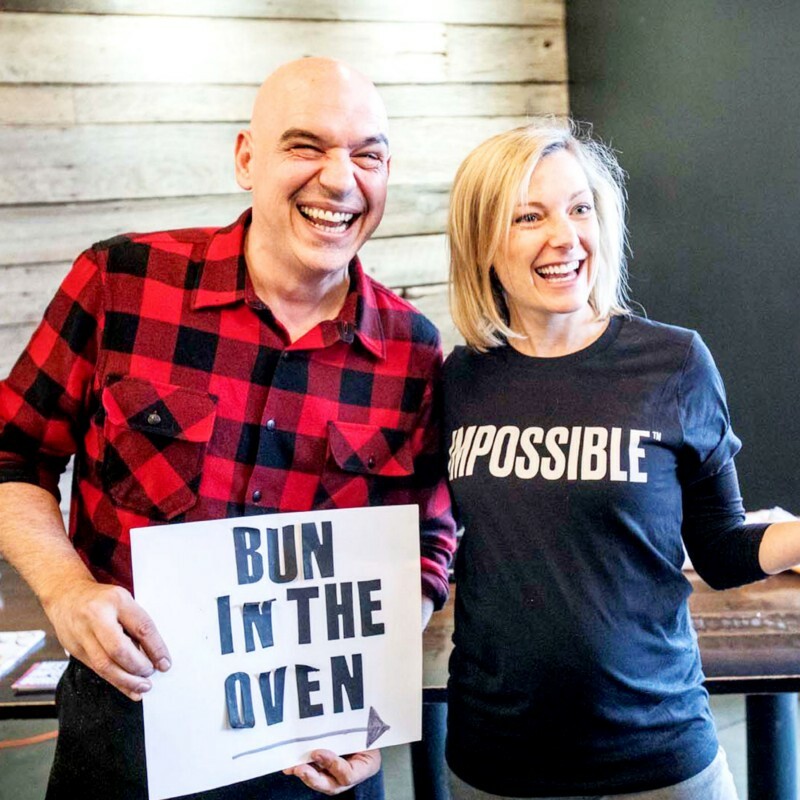 “We opened our first restaurant 21 years ago, and from the moment we opened it, and even before we opened it, it was all about us making relationships with farmers, and believing in their product. We never said “Farm to Table” — it was just about being responsible about sourcing and just wanting better stuff. 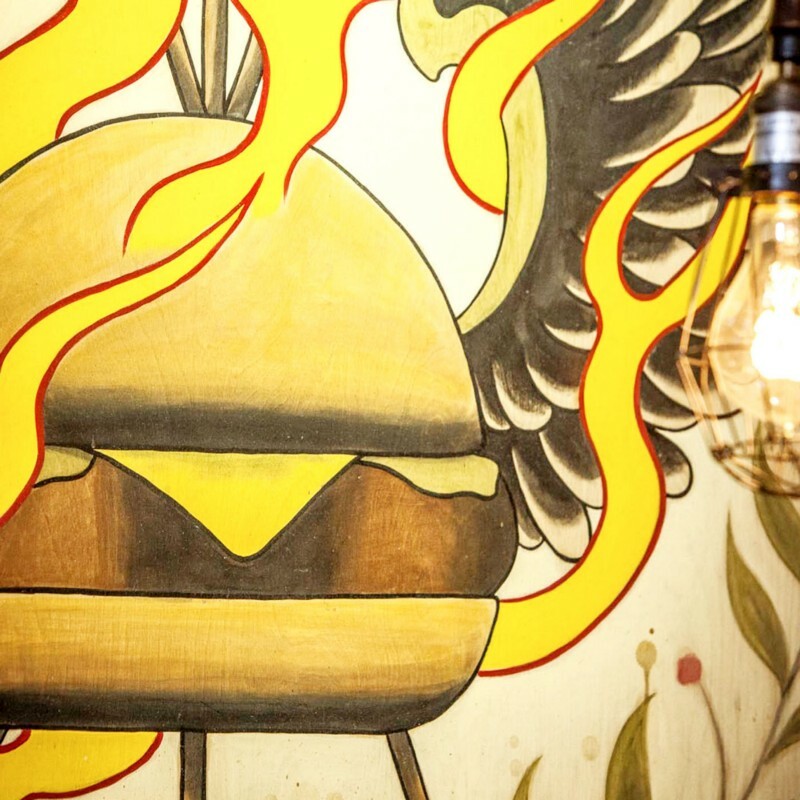 We’ve done that with every restaurant, and we’ve always done it at every restaurant we’ve opened, even our casual burger concepts. 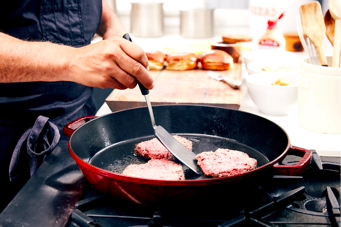 So we all cook up the burger. “Am I going to never eat meat again? No — I eat meat, and I love meat. 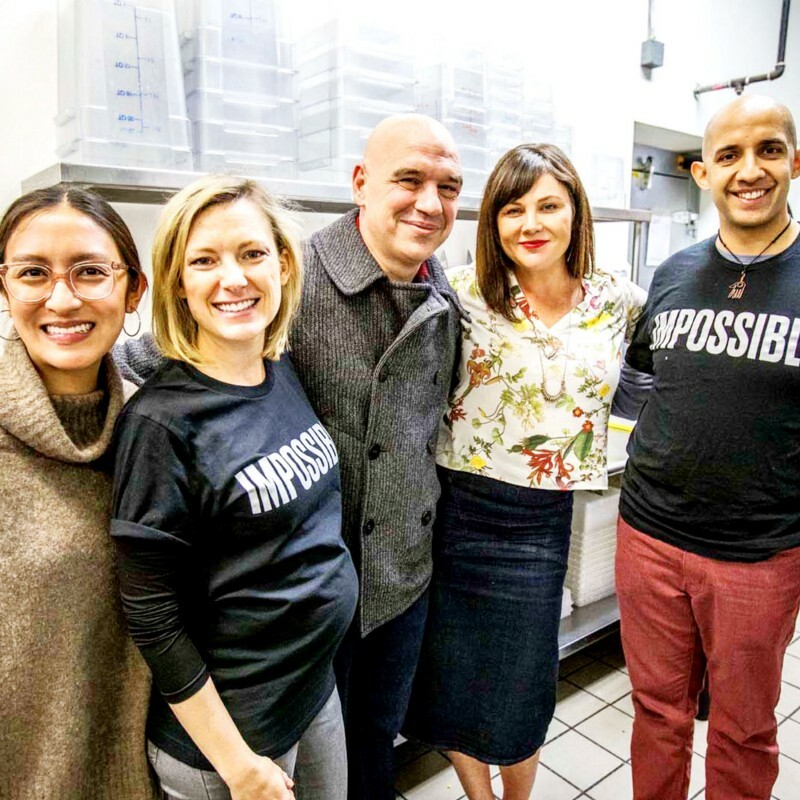 But I personally love the Impossible Burger because it’s a great option for a lot of reasons. It has a smaller carbon footprint — an incredibly smaller carbon footprint — and it’s much better for the environment. And, fortunately or unfortunately, as I get older, I have to eat a bit healthier too. I’ve always been very honest about the way that I’ve eaten. Most people who that know me from a TV standpoint know that Liz, my wife, is a vegetarian. I’m a vegetarian two days week and always have been. When I eat a big meal at home, it’s always vegetables that I can put something on. If I’m entertaining, I cook vegetarian meals that I can put proteins on, but when it’s just Liz and I just by ourselves, we cook or order vegetarian. 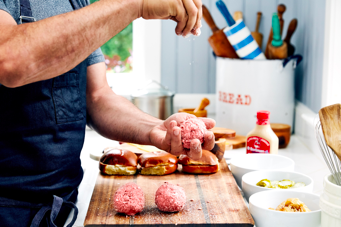 “I started cooking at a very young age with my mom and grandma. 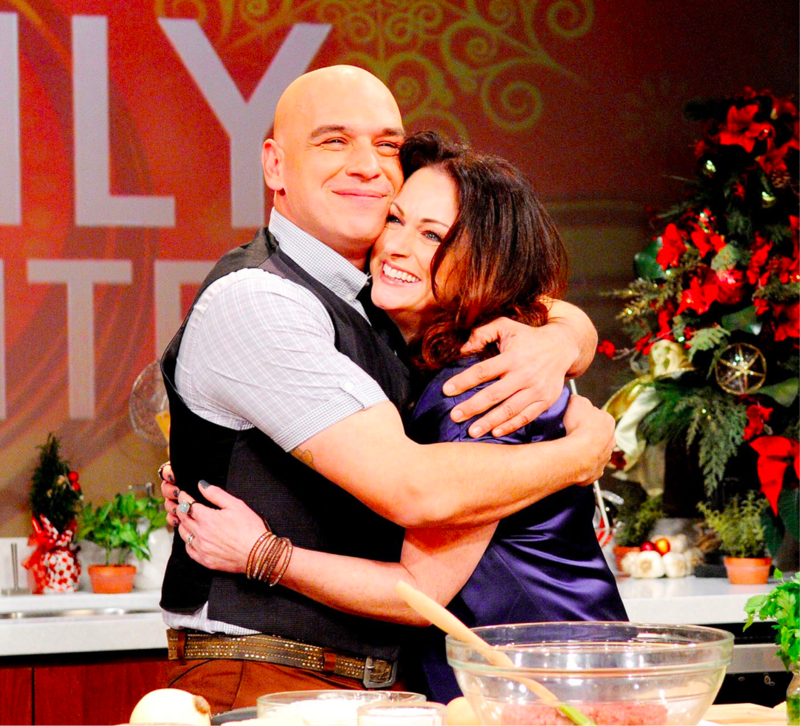 I was raised in a Greek and Sicilian family, and we were always cooking. My Mom’s cooking has always inspired me. What keeps me going is being able to share delicious, satisfying food and approachable cooking with people. I love hearing about people cooking at home and with their families — it’s so important. I always say: Stay your path and believe in yourself. There are going to be a lot of naysayers no matter what, so at the end of the day you have to believe in yourself. 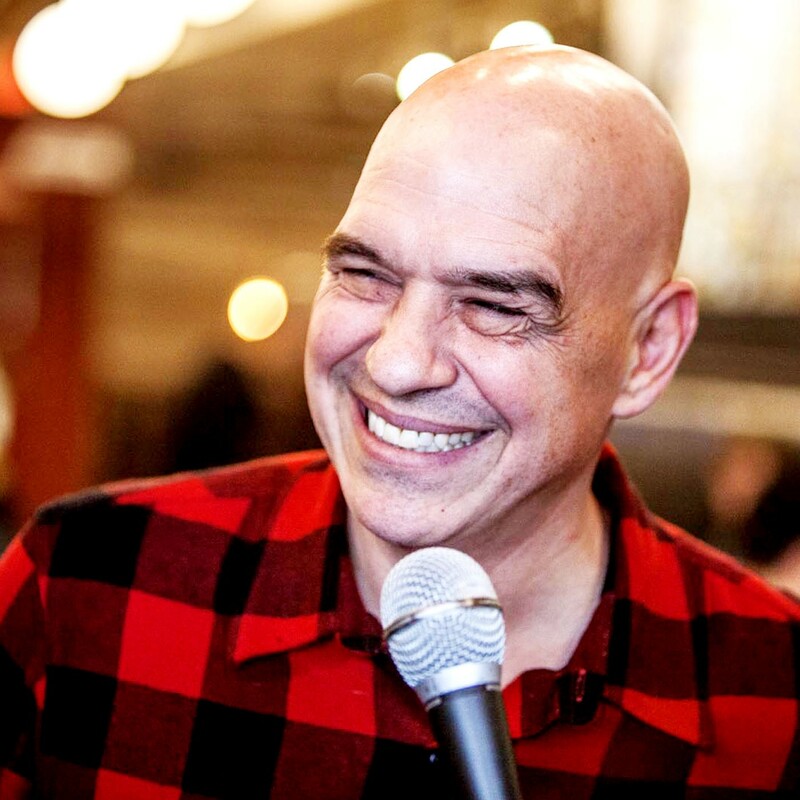 Michael Symon is the chef and owner of B Spot Burgers, as well as Lola, Roast, and Bar Symon, Mabel’s BBQ, and Angeline. 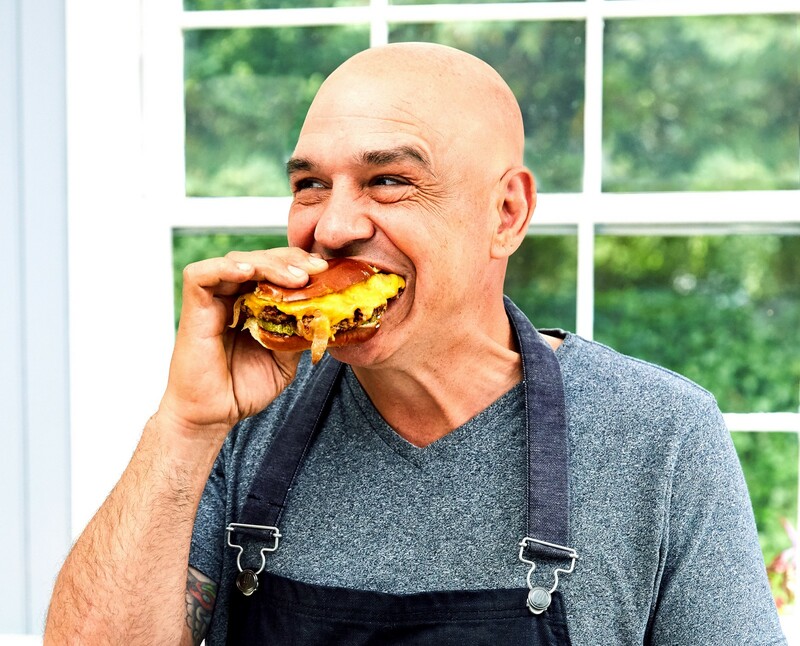 He has received many awards, including Food & Wine’s “Best New Chef,” Gourmet’s “Best New Restaurant,” James Beard Foundation’s “Best Chef,” and Bon Appetit Magazine’s “Top Best New Burger Joints.” He has hosted several television shows, including “The Melting Pot,” ABC’s The Chew,” and Food Network’s “Cook like an Iron Chef (he earned his permanent position as an Iron Chef in 2008), and is author of “Live to Cook”, “Carnivore”, and “5 in 5 For Every Season.” He currently resides in Cleveland with his wife, Liz, and their Old English bulldog, Ozzy. 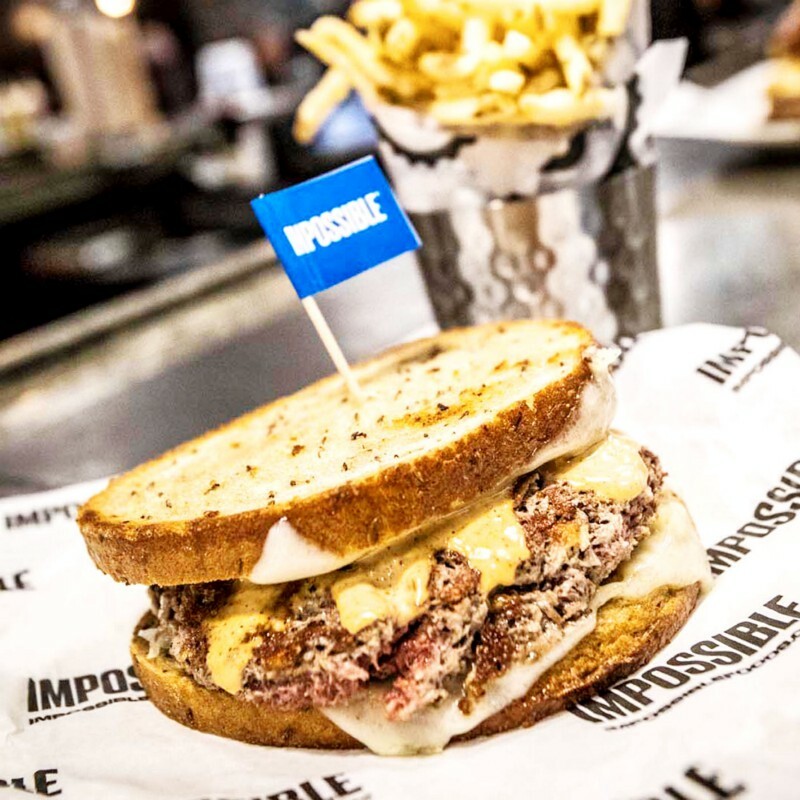 Check out locations serving the Impossible Burger and our FAQs for more info. More questions? 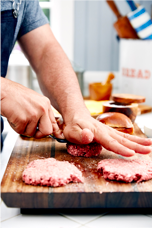 Contact us at hello@impossiblefoods.com.